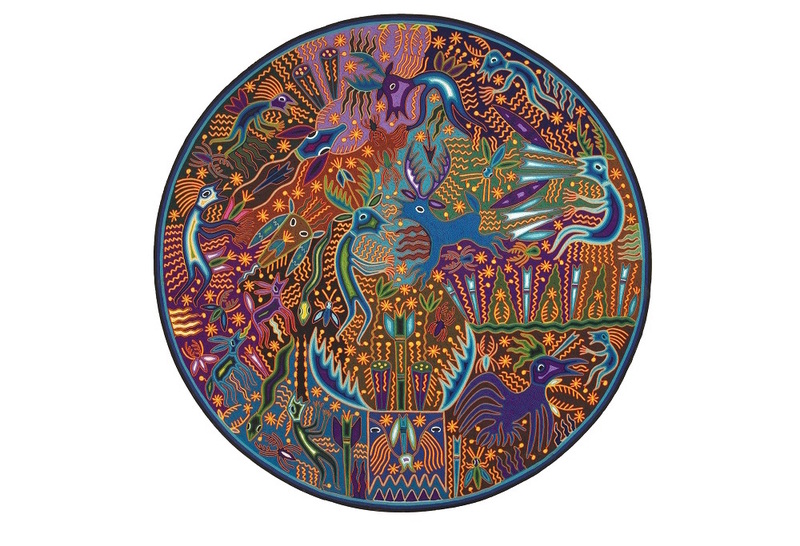 Psychedelic drugs, anthropology, art, commerce, 1960s counterculture, and indigenous culture collide in the stunningly vibrant and intricate yarn paintings of the Wixárika people of Western Mexico. On one level, these are psychedelic works fundamentally tied to peyote, the psychotropic drug that is integral to the Wixárika’s spiritual practices. On another, they are important documentation of a culture becoming commodified in the mid-20th century, in this case aided by a self-described shaman and a reporter-turned-anthropologist.